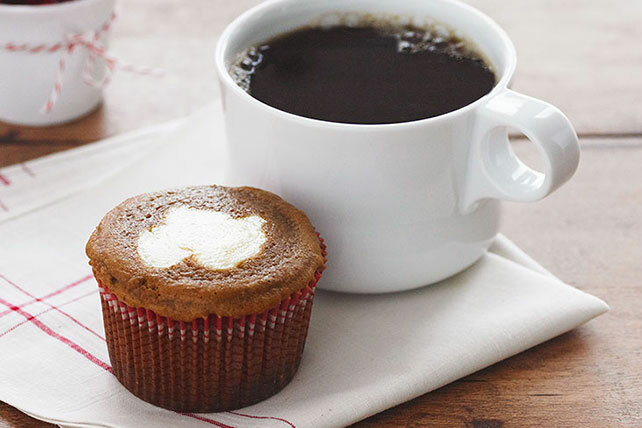 Enjoy an autumn-inspired dish any time of the year with our Pumpkin Cream Cupcakes. Made with canned pumpkin, you can bake Pumpkin Cream Cupcakes any time you like. Plus, luscious pudding and cream cheese are baked right into Pumpkin Cream cupcakes, making them super moist and delicious. Beat cream cheese with mixer until creamy. Blend in sugar and egg; spoon over batter. Stir 1/4 tsp. ground nutmeg into 1-1/2 cups thawed COOL WHIP Whipped Topping; spread over cooled cupcakes. Keep refrigerated.